Avoid long lines at the museums! Our exclusive online Booking Service allows you to reserve your visit to the National Roman Museum in Rome on the day and time you prefer. In this way you go to the beginning of the line with your prepaid reservation and have more time to enjoy the museums. Delight in all that the museums have to offer rather than standing in line! Pre-booking fee € 4,00 (included in price). Pre-booking fee € 4,00 + Audioguide € 5,00 (included in price). The audio guide will be provided only for the first museum you will visit. 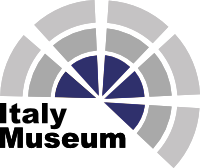 Visitors who have booked the audioguides, must present, in addition to the voucher, an original Identification Document that will be held until the return of the audioguide which must be given back at the exit of the Museum. Note: Online fees, presale fees and eventual temporary exhibition fees are always due. PLEASE NOTE: The confirmed time is not always the same time you requested; the museum automatically confirms the closest available time on the same date if requested time is sold out. As soon as we receive your booking request, your tickets will be booked. Ticket confirmation is subject to museum availability. If availability is confirmed by the museum, the original voucher will be emailed to the email address you provided, so be sure to insert it correctly. The procedure may take a few hours. In case the order is submitted on Saturday, after 12,00 pm or on Sunday, vouchers will be sent on Monday morning. In case the order is submitted after 6.00 pm (Italy time), the voucher will be sent the morning after, except for Saturday afternoon. In this last case the voucher will be sent on Monday morning anyway. The original voucher is the only recognised document accepted at the museum entry and must be exchanged with tickets at the museum’s cash desk. TuscanyAll is not responsible for eventual changes or cancellations to the programs offered. 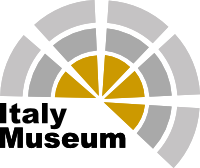 For the State Museum in Rome, a service charge equal to € 4.00 is added to the price of each ticket purchased online through TuscanyAll. In case you have booked discounted tickets, you will be asked to show a identification document at the museum entrance or other documents proving that you are eligible to benefit from reductions. Open from 9.00 am to 7.45 pm. Closed on Monday, January 1st, May 1st and December 25th.